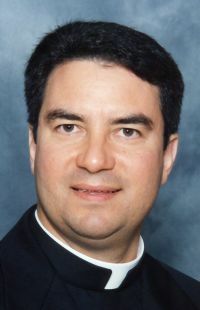 LAS CRUCES, N.M. (CNS) — Bishop Oscar Cantu of Las Cruces rejected the claims of an advertisement in the local Las Cruces Sun-News daily newspaper that maligned the work of an interfaith group funded by a Catholic Campaign for Human Development grant to raise the city’s minimum wage. The ad, sponsored by the Catholic Coalition of New Mexico, said the treasurer of the group, called NM CAFe, “organizes pro-abortion rallies, insinuating she uses church funds for these pro-abortion purposes,” according to an op-ed essay by Bishop Cantu addressed to Catholics that appeared Jan. 25 in the Sun-News. As a condition of gaining CCHD funding, the grant requires the recommendation of the local bishop. CCHD is the U.S. bishops’ domestic anti-poverty initiative. The City Council in Las Cruces, New Mexico’s second-largest city, voted 4-3 last June to raise the minimum wage from New Mexico’s $7.50 hourly rate to $8 an hour in July, and to $8.50 next January. “The Catholic Church is pro-life, reverencing and defending human life in the womb, in the home, in the workplace, on the hospital bed, until one’s last breath is taken,” he said. “I do not like writing these kinds of messages, and I likely would not have had to if Mr. Fish and the Catholic Coalition of New Mexico had approached me directly with their concerns. I invite Mr. Fish and the CCNM to meet with me so that we can discuss these issues,” Bishop Cantu said.